This project is still very much at the beginnings of what will be but in that year we have had FIVE wonderful volunteers who have taken up the opportunity and offered their service....over the next few weeks/months we will have another 3 joining us! 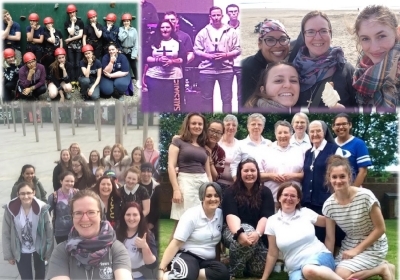 Now, it is time to look ahead to September....applications are now being considered for any volunteer, aged 18+, who wishes to be part of a Salesian Community, offering their time and gifts in service of VIDES UK! Placements are available for 3 months, 6 months or one year but always with a rolling 3 month review. All Applications must be returned by 31st May!